With light manual work repetitive movements in your day to day job can put serious strain on your fingers, hands, wrists, elbows & shoulders. 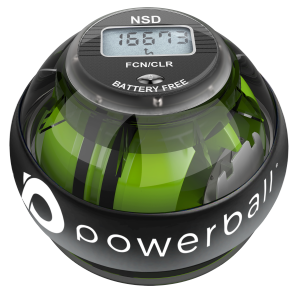 Powerball comes recommended by health professionals and has helped over 4 million people worldwide to date. It is body armour for your upper limbs with daily use leaving you stronger and healthier. WMSDs – Work related musculoskeletal disorders? WRULDs – Work related upper limb disorders? Two slightly ominous sounding terms describing ongoing problems in the muscles, tendons and nerves as a result of repeating tasks over and over during the work day (overuse & RSI related) often with poor posture and resulting in arm/wrist pain, numbness, tingling and discomfort. Occupations especially at risk are; computer operators; assembly-workers; carpenters; gardeners; plumbers; writers; taxi-drivers; mechanics. Following Powerball’s non-impact resistance programme daily helps to strengthen up, loosen out and lengthen tight muscle fiber & fascia in the arms, taking pressure off connecting tendons at the elbow and wrist joints (two main areas of pain and discomfort in the limb). Range of motion increases, stiffness and inflammation diminishes – relief is immediate and ongoing. CARPAL TUNNEL FROM COMPUTER USE? 4 years ago, I started a desk job that involved typing and using a mouse all day. 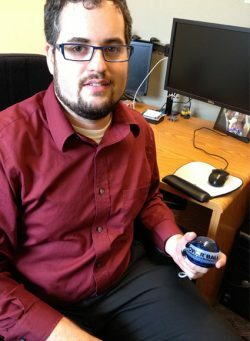 Within a few months, I had shooting wrist pain from RSI and knew I needed to do something to avoid long-term health issues. 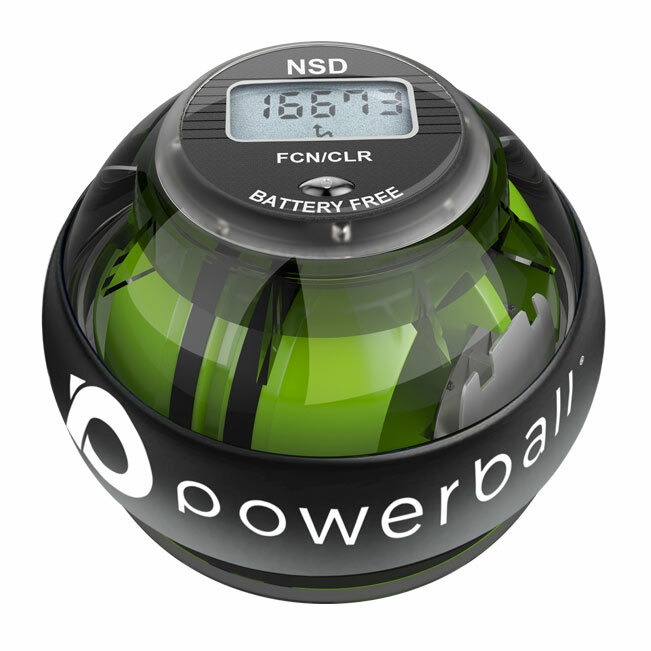 After some intense Internet searching, it seemed I could hold off a doctor’s visit and more expensive treatment by improving my wrist strength so I bought Powerball® and started using it during free moments at work. I found that when I start to feel a little tension in my wrists, a few minutes with Powerball® at low speed relieved discomfort immediately. 4 years on and no complications from repetitive stress or Carpal Tunnel Syndrome – I owe the fact that I’m not wearing a brace to Powerball®. Trigger Finger? Powerball it away. I damaged the tendons in my fingers while playing rugby. Two of them were stuck in a bent position, they were very painful to try to bend and stopped me playing golf as I could not grip the club without pain. I was told I had trigger finger and I tried hot water treatments, massaging and bending exercises as recommended by my physio, however, this only gave very temporary relief. Then I decided to try Powerball and followed their finger exercises, I also purchased a Skrunch that I squeezed while at work. I’m glad I did because within 2 weeks I was able to bend my fingers fully and had my grip strength back. 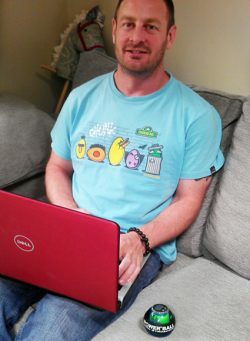 TENNIS ELBOW FROM OVER-USE OF A LAPTOP? I got tennis elbow from constantly using my laptop and it was a major issue. It got so bad, I couldn’t lift a glass of water using my right arm, my elbow would just give way. I started some exercise to help strengthen and rebuild but it was hard going, causing me more injury at times. 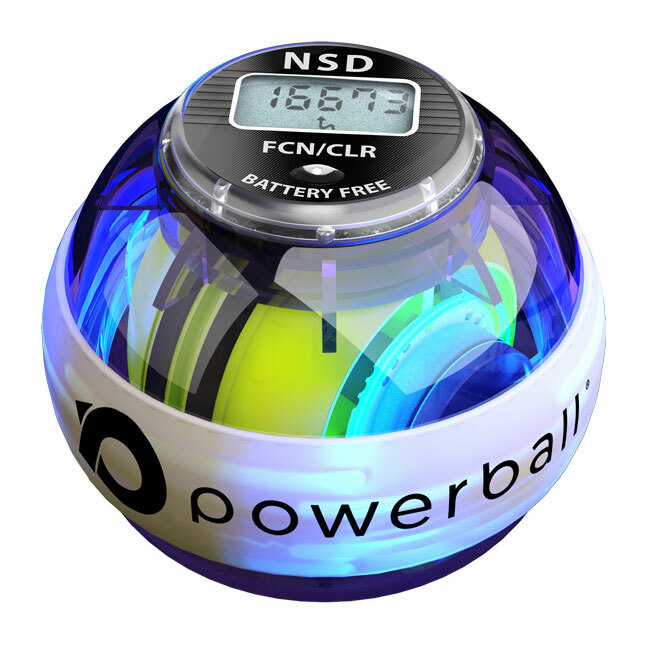 I got really fed up with the pain and having a useless arm, especially since I am right handed, so I went searching online for something better and discovered Powerball®. I used it regularly and it really has given strength back and reduced my pain considerably, a fantastic outcome. It’s all taken only a few weeks so it’s a great result as I suffered for months before this. 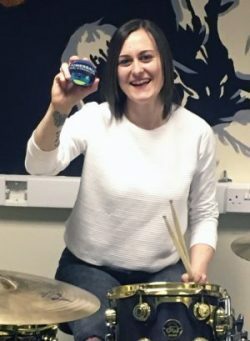 CAUSING WEAKNESS & PAIN FOR YOUR DRUMMING? I’m a drummer who was suffering with De Quervains Tenosynivitis. 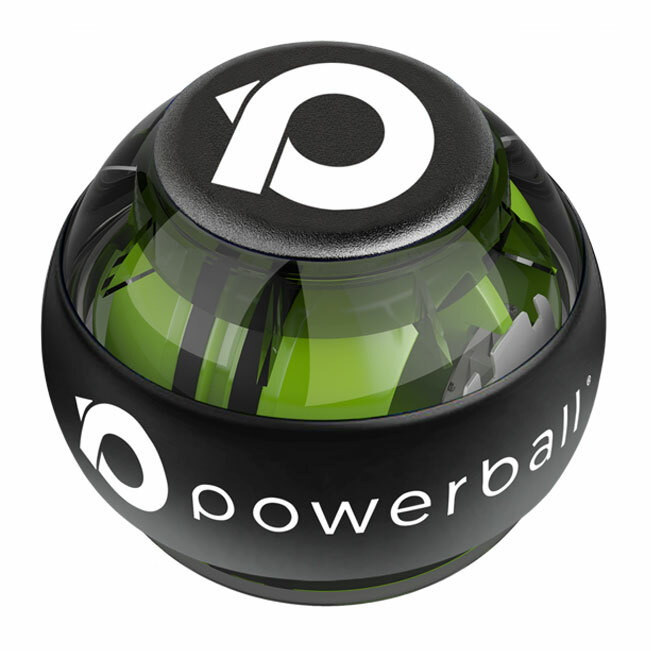 Since I started using Powerball®, I have found that my symptoms have dramatically improved. Not only has it been a huge help to me when playing the drums, but in every day situations at work, I notice a huge difference in the way my wrists feel. While drumming before I started using Powerball® my wrists would feel tired and give me a numb/pins & needles sensation from my wrist to the end of my thumb, leading me to believe I might drop my drumsticks. 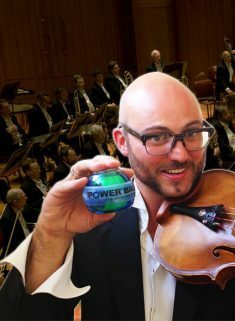 Since I started warming up with Powerball® before I practice, however, all tiredness and tingling have disappeared. I’m so happy I purchased this product. TENDINITIS IN THE HAND PREVENTING YOUR WORK? I’m 49 years old and work in a dialysis clinic where I must make a lot of accurate wrist movements from left to right and right to left many times daily. 7 years ago, I developed severe tendinitis and a cyst in my right hand. I had surgery to remove the cyst but couldn’t cure the tendinitis. I went to a lot of doctors for rehabilitation but none of them could help me to get back to work. Then my son told me about Powerball® and I couldn’t let go of this little ball. It took me just 4 weeks of using Powerball® to get better and return to work. I’ve been using Powerball® from that day and haven’t had tendinitis again. Thanks for giving me my wrist back. 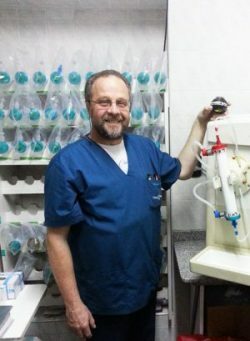 Jorge Rizzetto, Buenos Aires, Argentina. Voted by the Independent newspaper as the ‘Best Desk Exerciser’, Read Review Here. 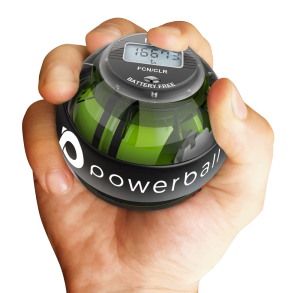 I find that Powerball works very efficiently to both strengthen grip and rehab arm conditions for sportspeople and patients. Additionally, I find Powerspin to be highly beneficial for shoulder and upper back rehabilitation. GOLFER'S ELBOW TROUBLES? POWERBALL IT AWAY. 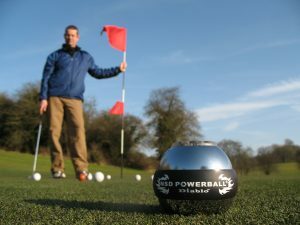 I’ve been suffering with Golfers Elbow for some time and use my Powerball when it gets really uncomfortable, I exercise with Powerball for a couple of minutes then, as if by magic the aches ease away and my arm is trouble free for about a week. No permanent cure yet, but 2 weeks totally rested and filled with Ibuprofen didn’t provide a medical cure either. At least this Powerball gives me around a week of pain relief for a couple of minutes of exercise, and virtually instant too. RSI PREVENTING YOU FROM PLAYING MUSIC? I am a professional musician in a symphony orchestra in Glasgow, Scotland and experienced RSI problems down the front and back of my left forearm as a result of playing viola for a living. My arm and wrist were constantly throbbing from the moment I woke up in the morning. I tried many different remedies for my problems; massages, acupuncture, ibuprofen cooling gel, stretches. Nothing helped. Then I saw Powerball® advertised online. Within 48hrs of its arrival, my problems were already getting noticeably better. After a just week the RSI had disappeared entirely. This was after a solid 8 months of problems. You can imagine how much this means to me, thank you so much! NUMB HANDS OR CTS FROM GUITAR PLAYING? 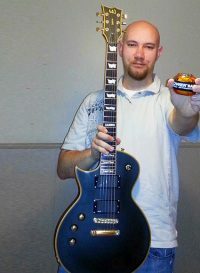 I have been playing guitar since I was 15 but had to stop due to my hand going numb. I searched the internet for a solution and tried many different things but the numbness kept coming back. I started talking to a friend and he advised I should buy Powerball®. I did and started using it immediately. From the very first use, I felt less numbness in my hands. After three days use however, the numbness was COMPLETELY gone. Not only am I playing guitar again, but I am also learning piano now as well. None of this would be possible if I didn’t have Powerball®. It is truly an amazing device and I cannot express how thankful I am to have bought one. I saw an advert for this saying it was good for shoulder pain. I have been suffering for well over a year now and daily use of the Powerball has made a huge improvement. I am expecting a full recovery with time. 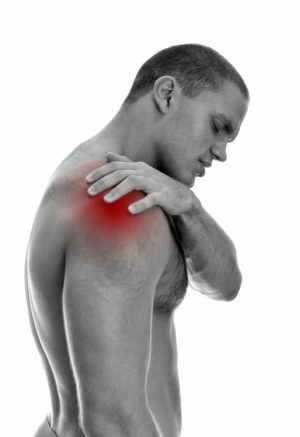 Just a couple of minutes a day (literally) and my shoulder pain eased in 3-4 days. I try to use it every day to keep the joint working. 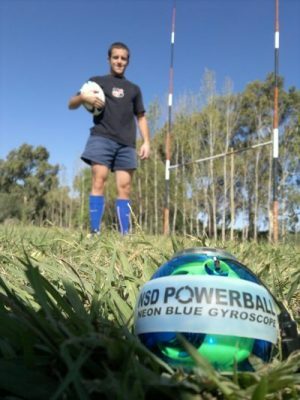 Physio recommended Powerball to me to rehabilitate my shoulder, glad he did, amazing product. SPORTS REHABILITATION. BUILDING SHOULDER STRENGTH. On the 8th of March last year, I tore a Rotator Cuff tendon in my right shoulder whilst playing squash. Before that day I was competing in long distance open water Masters swimming events, playing squash and golf regularly and loving it. 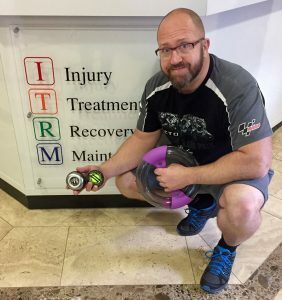 I have seen many physiotherapists and consultant osteopaths, had an MRI scan and purchasing numerous products design to help me cure my shoulder. I’ve spent many hours exercising with bands. However, after nearly eight weeks of using an amber Powerball 250 Hz Regular, I am convinced it has done the trick. I’ve recently bought a Vortex that I’m also very pleased with. I use it for about 30 minutes every day and plan to continue until the day I’m pushing up daisies. I am now slowly but surely swimming again and playing squash and golf. I’ve been a sad man during the time I could not play my sports. My Powerball has made me a happy man. Sounds very corny but is very very true. 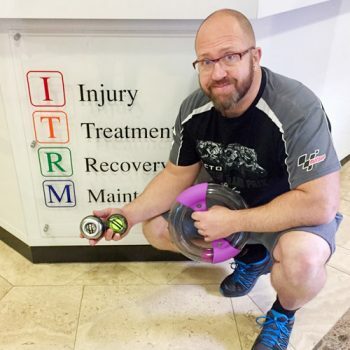 Choose the powerful, handheld gyroscopic hand exerciser that’s right for you. Practice these short, physio-designed rehabilitation and strengthening exercises. Can Powerball® help someone you know?